Opened my Start Screen just a moment ago, and I was greeted with 19 updates pending on the Store tile. A quick look showed above. 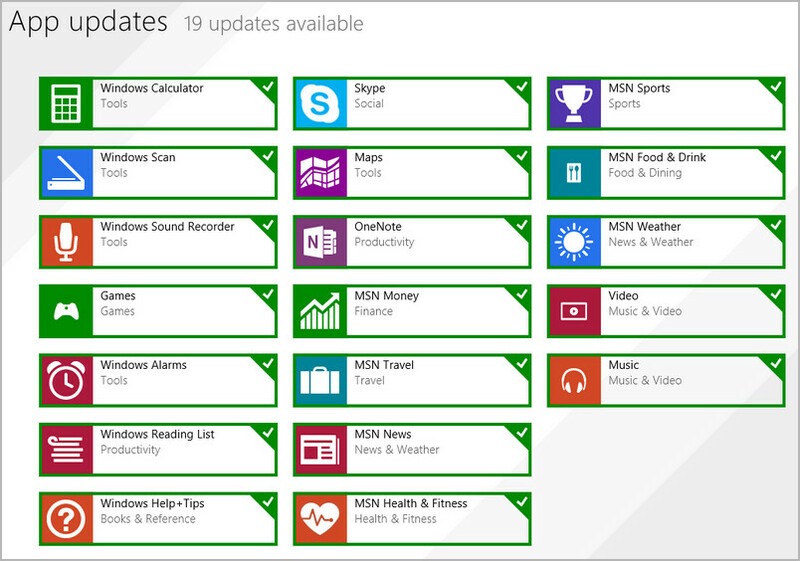 It seems Microsoft is rolling out updates to all their apps for Windows Technical Preview Build 9860. What is not clear at this moment is whether there are actual changes to these apps or just some compatibility updates. Trust us on McAkins Online to dive into these apps to find any changes, up till now nothing spectacular we could mention. We will keep on looking and when anything out of place comes up, you can expect we’ll inform you as usual. Of course we welcome any tips from you guys too. If you notice anything different please let us know. Note that if you’ve set you OS to get Store Apps automatically you will not see these updates as the system will do the updates for you in the background. Those of us who want to be aware of App updates of course want to know such event as shown above.